Graduate level academic writing is a significant component of all programs at MSP. Writing support is available to any students who may need extra help. Whether the challenge is a minor adjustment to APA style or a major transition back to academic writing, students are encouraged to take early advantage of writing support resources to gain the skills and confidence they will need to be successful. MSP provides ongoing writing support to individuals or small groups with our experienced writing tutors. This year, MSP is pleased to provide two student-tutors to meet the needs of our students. Josie Cervantes is a third year doctoral student at MSP. This is her second academic year helping fellow students as writing tutor. 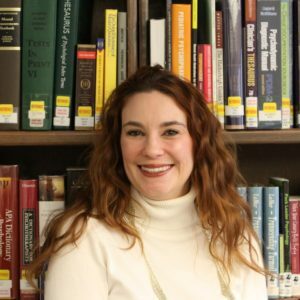 Josie is available to assist students with specific writing challenges like organization, outlining, brainstorming, grammar, and APA style throughout the academic year. Students should contact her directly ([email protected]) to schedule an appointment. 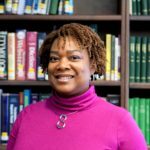 Rose Cook is a first year doctoral student at MSP with almost 20 years of experience in education. Rose is available to assist students individually or in small groups. She can review student papers as a whole or offer support with APA style/format for writing. Students can contact her directly ([email protected]) to schedule an appointment or drop in during office hours. Every August, incoming students have the opportunity to attend a Writing Skills Seminar on the Saturday before Orientation. The seminar provides students with basic knowledge of the APA writing style and discusses what to expect from classes and assignments.